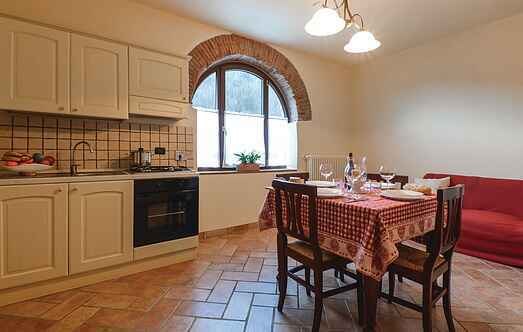 Choose from a selection of 12 holiday rentals in Province of Prato. Use the search form to the left to filter the results and pick your choice of self catering accommodation in Province of Prato. We have a good selection of holiday apartments in Province of Prato perfect for family, single, romantic and group holidays. You may prefer to take a look at our listed holiday villas in Province of Prato or holiday apartments in Province of Prato. Find your holiday homes by a specific type using the property type drop down in the filter. Filter the holiday homes in Province of Prato by a specific area using the area list above. Nice apartment with pool in Montepiano (Prato). The accommodation is located in a villa furnished with taste and elegance, on the tosca-romagnolo Apennine. This lovely detached holiday home is surrounded by a large, well-kept fenced garden, perched on the hills of the Appennines between Tuscany and Emilia Romagna, only 3 Km from Vaiano. Elegant villa divided into separate holiday apartments, located in Montepiano (Prato), on the Apennine between Tuscany and Emilia Romagna. Home with large windows and original shutters on estate with pool and garden.